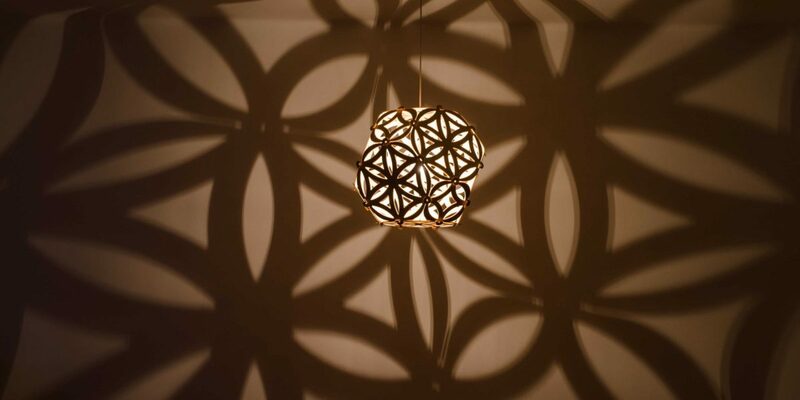 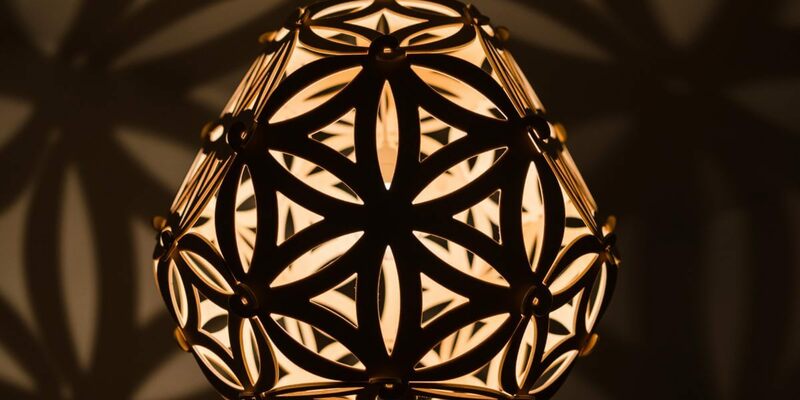 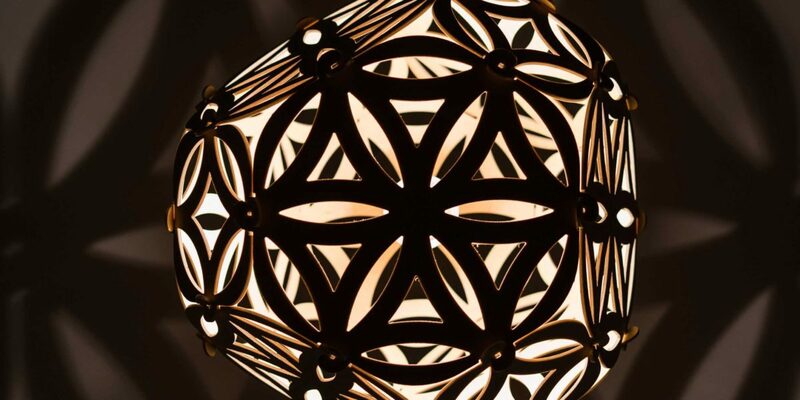 SOLAR is a three-dimensional Flower of Life and an atmospheric lighting piece. 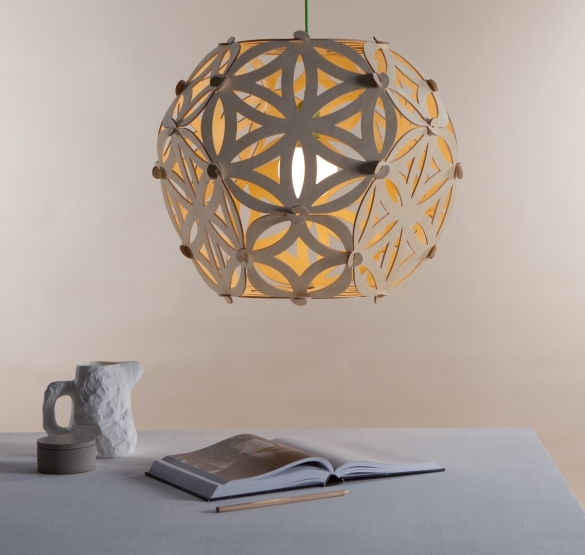 It’s based on a truncated octahedron. 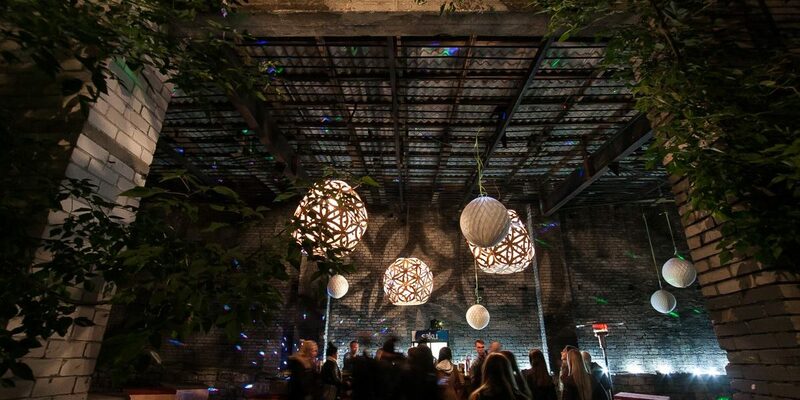 While lit the ornamental structure appears and fills the whole room with dramatic shadows, creating a romantic atmosphere. 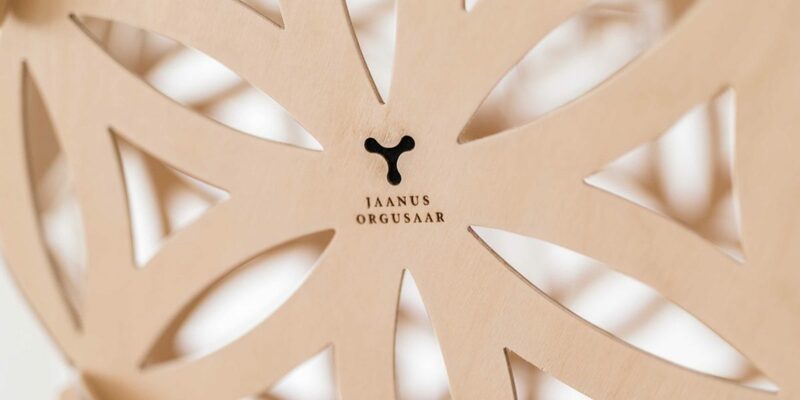 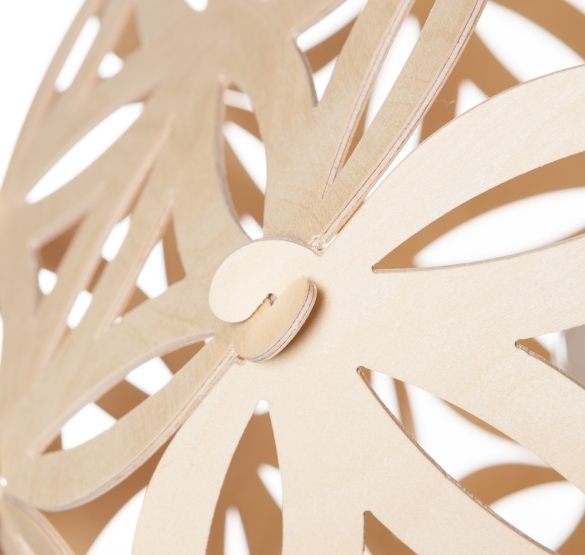 H – 600 mm, Ø - 600 mm, weight - 2 kg Material - 4 mm birch plywood. 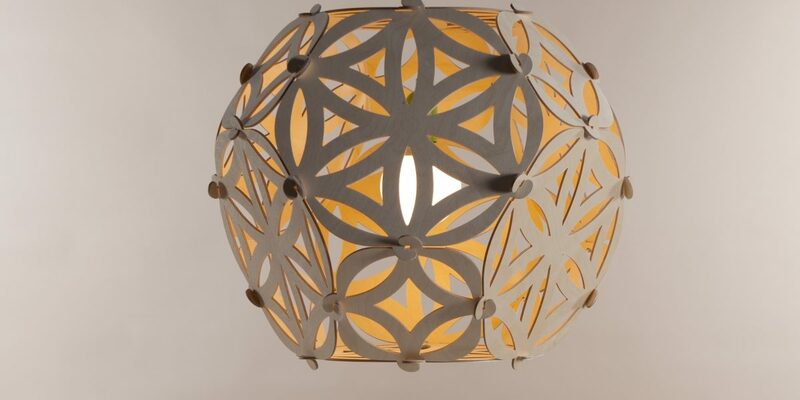 E27, max 70 WT, bulb included, white textile cable 1,5m. 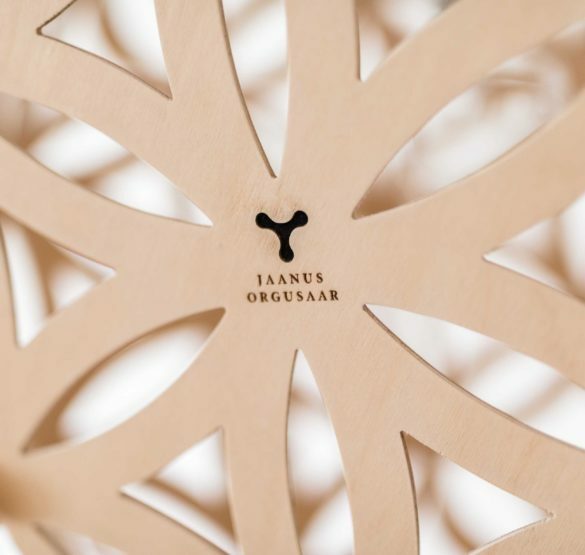 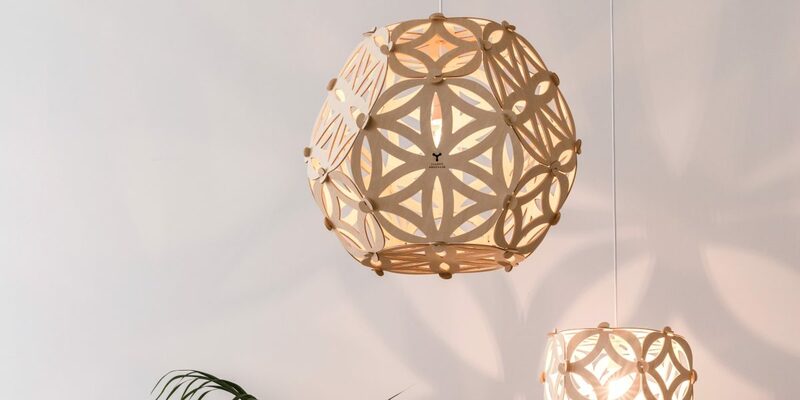 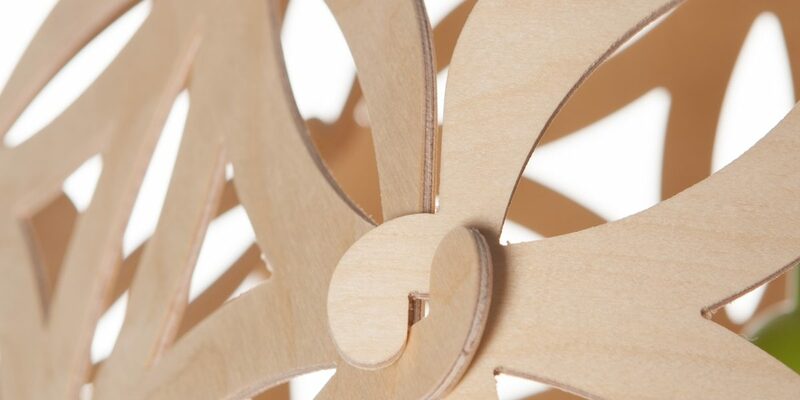 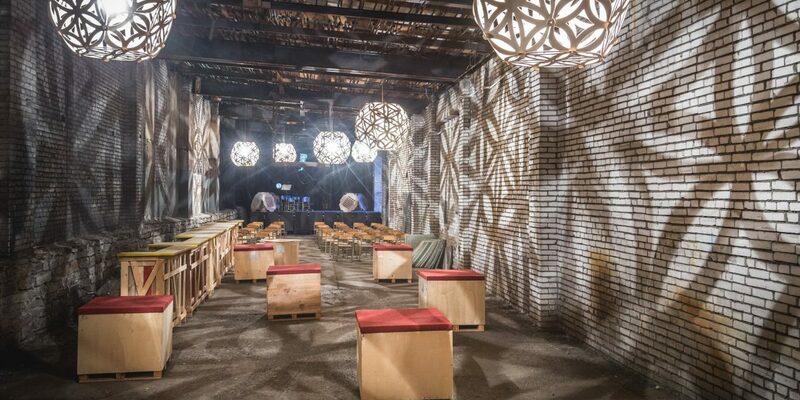 The lamp consists of hexagonal and square plywood elements that are connected with a joint system. 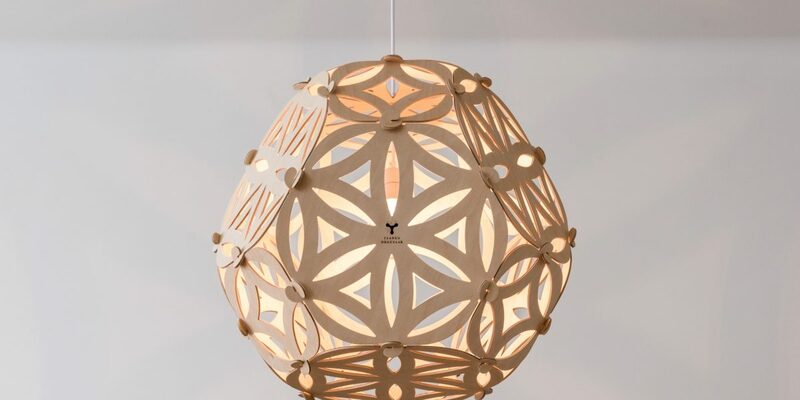 The lamp is delivered compactly as a flat-pack and can be assembled easily by joining the fixtures, a fun task to put together.